WASHINGTON, D.C. – All eyes will be on Barack Obama and Raúl Castro when the two presidents meet face-to-face in Panama next week for the first time since the United States and Cuba agreed to normalize bilateral relations in December. 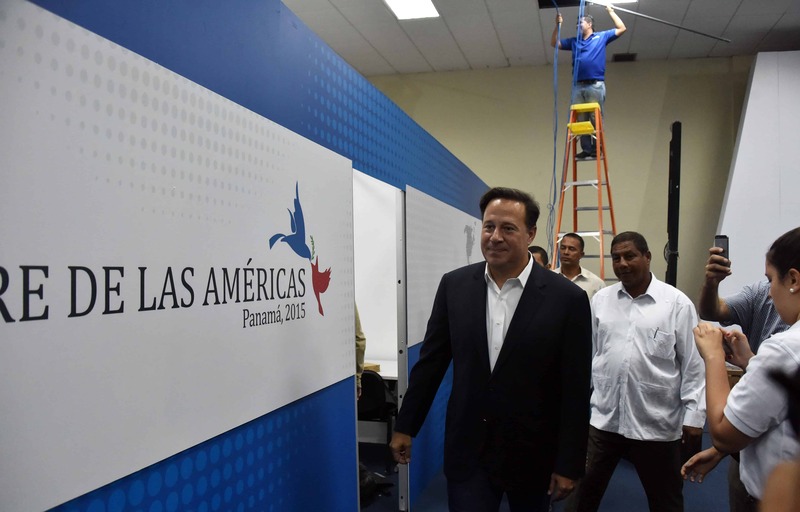 But issues crucial to Central America – ranging from immigration and climate change to violent crime and the region’s growing need for electricity – will also be on the agenda for the VII Summit of the Americas, to be held Apr. 10-11 in Panama City. Roberta Jacobson, assistant U.S. secretary for Western Hemisphere affairs, said her delegation will focus on four themes at the summit, the first which the leaders of all 35 nations in the hemisphere, including Cuba, are to attend. Those themes are democracy and human rights, global competitiveness, social development and climate change. “This summit in Panama will showcase a lot of very important issues that deliver on President Obama’s promise of equal partnerships – in particular what he promised at the fifth summit in Trinidad & Tobago in 2009, which was an updated architecture for cooperation and partnership, based on truly shared responsibility by the U.S. and our partners,” said Jacobson, speaking at Washington’s Brookings Institution. Much of the hype over next week’s summit understandably centers on the extent and depth of potential discussion between Obama and Castro, whose two countries are now trying to repair relations after more than half a century of hostilities. “Clearly, President Obama knew when he made the decision to go to the summit that Cuba had been invited. There will be interaction with Raúl Castro,” she said, explaining that none of Obama’s one-on-one meetings have yet been scheduled other than a meeting with the summit’s host, Panamanian President Juan Carlos Varela. As Washington’s ties with Havana warm up, its relations with the government of Venezuelan President Nicolás Maduro have taken a turn for the worse. Last month, the Obama administration imposed sanctions against seven Venezuelan officials on the grounds they constituted a “national security threat” to U.S. interests. Jacobson, a seasoned diplomat who assumed her current position in March 2012, admitted that she was “disappointed” by some leaders’ reactions to the sanctions for “demonizing” the United States as if it were the source of Venezuela’s problems. On that note, the State Department official indirectly criticized Guatemalan President Otto Pérez Molina for refusing to renew the U.N.-sponsored International Commission Against Impunity in Guatemala (CICIG in Spanish) for a third time. 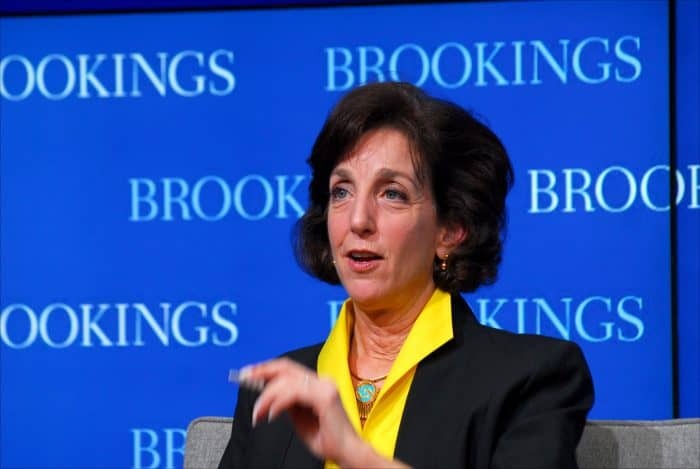 “I think the renewal of the mandate is critical, and I think there’s very strong support for that in Congress, and in the administration,” said Jacobson. 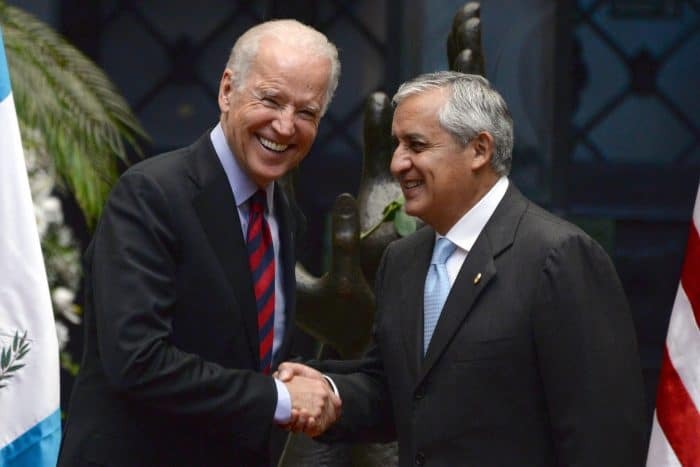 During his visit to Guatemala last month, U.S. Vice President Joe Biden praised the commission’s work and urged the leaders of Honduras and El Salvador to replicate the CICIG model in their own countries, or to establish a regional CICIG. CICIG was established in 2006 to investigate organized crime and its connections to state officials. Absent another extension, CICIG’s mandate will expire on Sept. 3. At his meeting with Pérez Molina, Biden said the leaders of Central America must work harder to reduce levels of impunity as a condition for receiving a much-debated $1 billion aid package from the U.S. Agency for International Development. “There’s no doubt, beginning from before the Alliance for Prosperity plan was drafted, that measures of effectiveness and commitments on transparency, good governance and anti-corruption have got to be a part of this,” said Jacobson. Some changes have already been made, she said, pointing to an accord between Honduras and Berlin-based Transparency International to work on accountability issues. Jacobson also stressed that not all the money would be going to El Salvador, Honduras and Guatemala. Another priority, she said, was the promotion of renewable energy and cleaner fossil fuels for the region.